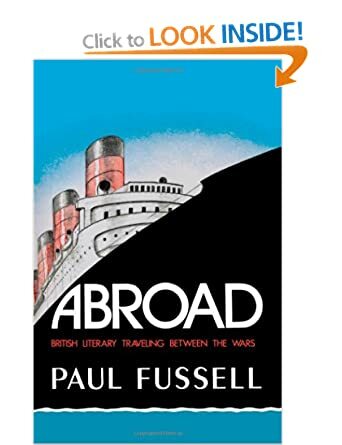 It took me over a month to finish reading Paul Fussell's book, Abroad, British Literary Travel Between the Wars. His is a dense writing style that takes some getting into. Also, at the end I had six post-it-notes covered with words to look up. I don't think I can share all that I would like to a single post, but let's at least get started. Travail: painful, laborious effort (n), or (v) to engage in such. You probably know about the snobs who distinguish between 'travelers' and 'tourists' - of course they are always the former. But did you realise that the word 'travel' has the same root as the word 'travail'? 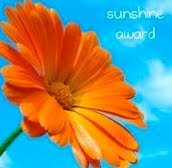 It's not just about hard work, but is related to the Latin 'tripaliare', 'to torture' or the instruments for doing this. Even worse, before that it probably came from the Latin 'tripalis' or 'having three stakes'. Sounds about as painful as some of the travelling Bill and I have done - or touristing / touring, whatever you want to call what we do. I'm not bothered about naming it. sodality - basically a fraternity, concerning the many witch doctors he encountered there. By at least one account, Greene wasn't a nice character at all. Then again, I read similar stuff about H.V. Morton, whose book (In Search of England) I'm about eventually going to read. cf - from the Latin word confer, to consult. If eg is read 'such as' and ie is read 'for example', cf is read 'compare to'. You probably already knew that, right? I didn't. I learned about a writer named Robert Byron whose opus magnum was The Road to Oxiana. I'm unlikely to travel in Persia (Iran), but a tad of internet research took me to a picture of a breath-taking mosque. Byron was killed in 1941 when his ship was torpedoed by a German submarine off the coast of Scotland; he was 35 years old. Having died young makes me wonder if he might or might not have been one of the nicer writers running around loose at the time. pederasty - vs pedophilia - Apparently the latter is attracted to young children (say, under age 11); the former refers to a sexual relationship between an older man and a younger (12-16 years) boy. I wondered what I was reading about author Norman Douglas, whose most famous work is South Wind (mentioned in passing by Dorothy L. Sayers - it was a small world between the wars in many ways). Douglas lived in Italy, an exile from Britain as the result of a charge of indecent assault in London. He carried on his pederasty with young Italian boys. Charming man, I'm sure. Actually, he probably was, but creepy all the same. There was a passage early on in the book that gave me the shivers. It spoke of how in the 20's people were still recovering from feeling they had just barely squeeked through the nightmare of the first World War. Then in the 30's (and coming to terms with the aftermath of the stock market crash), they gradually became aware of the horrors that were going to culminate in yet another World War. As much as I love the fashions, the decor, the art of the time, I think the emotional edge people must have lived on is another thing along with all the social change that really fascinates me about this period. "Sacred to this generation is the image not just of the traveler but of the wanderer, the vagabond, or even Chaplin's cinema tramp, all skilled in the techniques of shrewd evasion and makeshift appropriate to the age's open road." This chimed a faint cord of remembrance of something Grandmother said about tramps during the Depression, something about a code that required helping them. It will have been part of being 'a good Christian' but I had the sense there was something romantic about them as well. 'Jet-setting' didn't happen until the late 40s, early 50s. Prior to this, and particularly between the wars, one traveled by ship or by train. Both of these modes of transport are iconic for this period. I wonder if this is why Bill and I are so enamoured of these modes of travel (and not just because I despise the circus that air travel has become). I'm sure I've tried to cram too much into this post and thus incoherently skipped around. I could probably expound on any of these topics, but will leave it for now. I wanted to get this out before this post also grew cobwebs. There are a number of Fussell's other books about social class in the US that I'm looking forward to tackling. I am now forewarned that he is hard work to read. Totally worth it, but effort is required. Have you read any of Paul Fussell's books? What a nice book review. Usually I have so many thoughts spinning around after finishing a book it takes me a while to let it settle in. Didn't know about "cf" and I've never seen it used either, nice tidbit to know. I'm currently reading "Snobbery: The American Version" by Joseph Epstein. It's funny and interesting both. Like you, I am attracted to reading books and anything else about the years between the wars. The info you have provided is interesting. I didn't know the term cf either. Here's the thing that strikes me: during the last 40-50 years Americans have often been quick to attack Europeans as being pacifist, of not wanting to stand up to world aggressors. I always think if Americans had been through what they've been through. - of having two back to back devastating wars fought on their soil they would understand Europe's mindset a bit better. I know there's a fine line there somewhere that shouldn't allow aggressors to get the upper hand. But wars.....omg I hope we never have to go thru again what the wars caused. And no, have never read the author you mention. Shelley, try this recipe for breakfast sausage, it's a pretty good approximation. Sanda - I agree. Even as late as 1995 and me being relatively ignorant, I picked up an awful lot of insight about life in Britain during and after WWII. It is said that it was hard to tell that Germany had lost the war and Britain had won, things were so tough here. Reading about the history of Paris I became aware of just how much war France had endured in the century before the first world war. Sending your men off to another country to fight is bad; having it down the road from your home is another dimension altogether.